Yes, it has been more than five weeks since my last post! I've missed you. I've missed blogging. And as much as my blogging has felt inconsistent in the recent past, often lacking the clear direction I would (ideally!) like it to have, it is a meager attempt at scratching out words, to connect with all of you, and to capture some of these wildly hectic, busy days in a more tangible way...Days which, even though I have the best intentions of capturing through journals and pictures and baby books and mental notes, often just fly by. When I stop writing I also start to get restless. Emotionally restless. Us crazy, intuitive, artistic, writing types must always be writing our lives onto paper-- in journals, on napkins, on the back of the church bulletin-- something, somewhere. 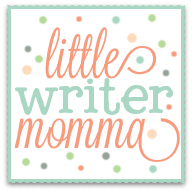 I write to process life and blogging and journaling are the best avenues for me to do that during this busy season of raising little ones. 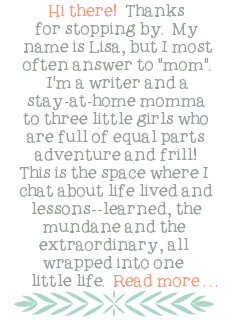 And so I'm happy to be back to blogging...and thanks for stopping by to share this space with me. Last year in January I set out to start a second blog (to write more about family life) and promised to post here two times a week...at least! This year I'm being more realistic. My goal is to post here once a week (possibly more on some weeks, but I'll be lucky to eek one post out in the early months after the baby comes!). I figure that once is a week is reasonable for me and for you (I don't know about you, but I can't keep up with those blogs that post 3+ times a week anyways!). The year here in Buffalo is off to a bitter, cold, blustery start...the wind is knocking at the windows and blowing snow drifts all over the roads as I sit typing away. The only silver lining at this time of the year for me is that the days are no longer getting shorter. That's right, as short as they seem, they are now actually getting longer (woohoo!). Seriously, that's a BIG deal for me. The older I get the more frequently I wonder why I live in this place that is crazy cold and GRAY for at least a third of the year! I know the reason...it's the same reason we came back to Buffalo in the first place...to be closer to family. And we are. So that my girls can have a closer relationship with their cousins. And they do. So that our parents can more easily come to events like Ella's preschool Christmas concert. And they can. So that I can take some chicken noodle soup over to my grandmother's house when she is sick (like today). And I will. So family, if you're out there...know that I am putting up with these crazy, cold, gray winters for YOU! That means I love you a lot, even if I don't always show it in the ways I'd like to! Now onto things other than the weather...Because it's still the first week of January, the time when we all think about (even if we don't put them into writing) goals and ideals for the upcoming year, I'll share my big picture thoughts about the year with you. 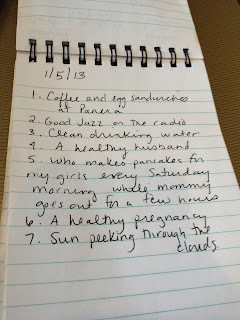 First and foremost, I'm not creating specific resolutions this year. That's right, no New Year's Resolutions for me this year. I like to think I'm being practical...sensible...realistic. I'm a woman with two young girls with a third on the way. My days already feel crazy, messy and unpredictable and the third one is merely bopping around in my belly (I can feel her as I write this!). She's not yet out and about keeping me up at night, needing to be nursed, plunging me back into the world of diapers (not sure if I'm ready for that again! ), and sending out shrieks to be held as I try to make dinner and break up fights between the older two! I'm a woman who needs to be practical this year. I set all sorts of goals last year...they were a little bit vague, but I had a great, structured plan in place to bring some discipline and control into my life in 7 DIFFERENT AREAS! Here they are...um, were...(This was from a January blog post last year). 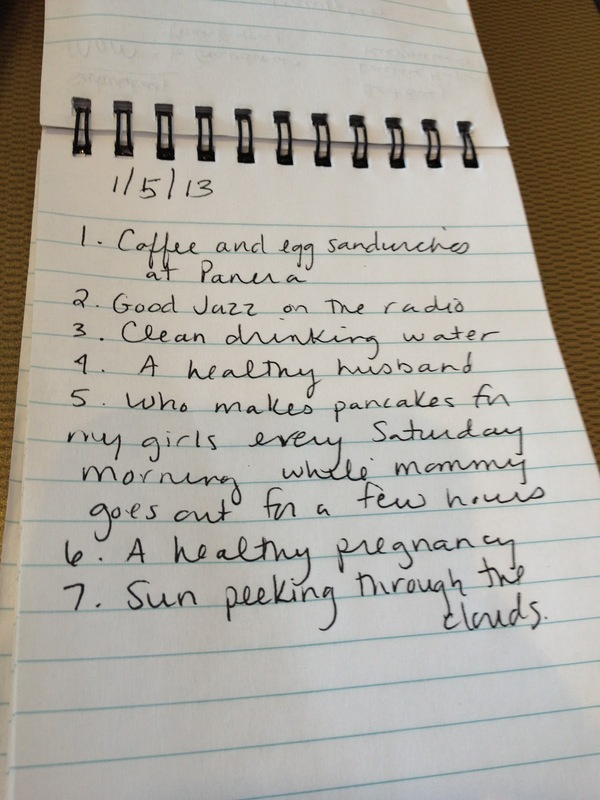 I had big plans to set goals in all 7 of these areas...manageable, practical, goals. I meant it....really. I still think this list is a good and very accurate snapshot of the most important components of my life...areas that all need to be tended to, and worked into the balance of everyday life in a way that each of us finds sensible and manageable. Then I sat down and started writing my goals. Then day to day life started coming at me like it always does-- just the normal stuff; the kids, the meals, the house, the running around, the commitments (mostly good ones! )...the stuff of life. I started thinking, Lisa, you're nuts. You can't manage all of the stuff of life and add new goals or commitments...you can hardly manage what you have going on in your life right now. How are you going to improve yourself spiritually, professionally, physically, relationally, in your marriage and in your home all in one year...No. Stinkin'. Way. These are the conversations that go on in my mind...the little red guy and the little black guys sitting on my shoulder...Yes you can. No you can't. Yes you can. No you can't. Oh my...the prayers were like a glass of water, after a run on a very hot day...I had been striving, running, chasing all sorts of things without the most necessary element...water from God via prayer. Every day. I have not been very consistent in my prayer time lately. December started off really well, and then life got REALLY busy (the irony of that gets me every year, but that's a whole other post all together!) and my prayers became fewer and fewer. I wasn't praying for direction. I was staying up late and not getting up to read my Bible in the morning. I had forgotten, in my busyness, to ask God for His input. So, when I started praying on Saturday morning, after feeling like my thoughts were spinning and I was never going to gain control of my life again, God very graciously spoke to me very clearly. He said.. Instead of staring at seven potential areas of change I want you to look at one...Me. Pray more. Ask Me what plans I have for your life. Ask me to bring peace and order to your anxious heart. So, I am back at square one with one goal for this year. Pray more. Seek Him more. Ask more. Knock More...and I am certain that as I focus my energies upwards instead of outwards theremight be hope for real change. I am still hoping for change, progress, growth and some new structure in all of those areas, but I'm asking God for His take on it...daily. Seek ye first the kingdom of God and HIS righteousness and all these things shall be added onto you... Hallelujah (Matt 6:33). So this year, instead of setting out to make all sorts of plans for my year I'm rereading this post and realizing it's truth and relevance for me as much today, as it had a year ago. Except, with a 3rd baby on the way, perhaps even more so. My "goals" this year: Pray consistently. Read my Bible daily. Practice gratitude. Enjoy these moments with my young kids as fully and as well as I possibly can, despite the craziness. 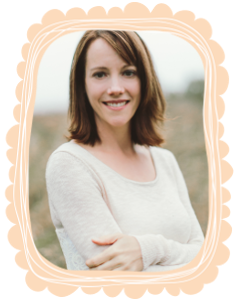 I've been a crabby, grouchy, momma more days than I'd like to admit this last year and I'm beginning to realize, more and more, that Ann Voskamp hit the nail on the head in "One Thousand Gifts"...joy, peace and patience all start with GRATITUDE. How about you? What is on your mind for 2013?! I also have two great books that I'm reviewing right now that I'm REALLY excited to share more about next week. 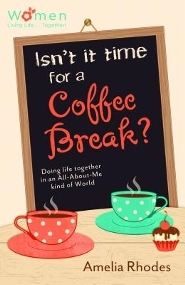 The first "Isn't It Time For a Coffee Break" was written by Amelia Rhodes, a friend of mine from MI (a story about my staying at her house earlier this year is actually included in the book!). I'm SO excited to tell you more about this encouraging book and so proud of Amelia for writing this! 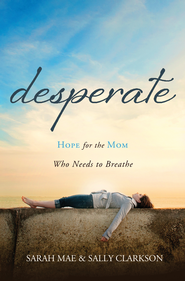 The second is titled "Desperate: Hope for the Mom Who Needs to Breathe" by Sarah Mae (co-founder of the Allume blogging conference I attended last Fall) and Sally Clarkson (an amazing woman, Bible teacher and SO full of seasoned wisdom about motherhood) and SO fits the story of my life right now that I feel as if I'm reading words penned from my own crazy momma mind. More on those next week along with a chance to win copies of each! Love your attitude and the fact that you are doing the 1,000 gifts! I love that!! And I'll keep my eyes peeled, those books look awesome!